‘Surrogacy (Regulation) Bill‘ was passed by Lok Sabha on 19th Dec 2018. The bill was introduced in 2016. Surrogacy bill banned commercial surrogacy and allowed surrogacy for the married couples that are medically proven infertile. India has became a hub of commercial surrogacy. In the absence of proper laws on surrogacy, surrogate mothers are being exploited by clinics and couples from foreign countries. Now, a bill is there to address the issues of surrogacy. Though there are many loopholes in the bill, it is a starting point. We can make amendments after thorough discussions. Surrogacy bill banned commercial surrogacy and hence prevents the usage of womb as commodity. It has a clause of parentage order, which means couple that go for surrogacy cannot abandon the newborn. There are many cases of foreign couples who abandoned the newborn due to medical issues of child and visa issues etc, which causes financial and emotional burden on surrogate mothers. With this bill, woman can opt for surrogacy only once in her lifetime, which is a good thing considering the exploitation of women. Many clinics are offering money to women to become surrogate mothers for multiple times, which will eventually deteriorate their health. Commercial surrogacy may lead to dangerous consequences such as new kind of inequality. Till now, rich people are hiring maids to raise their children. Now, some people are opting for surrogacy to avoid labour pain, which leads to poor people giving birth to the children of rich. This bill proposes are strict punishments to prevent the exploitation of women. Clinics that do not follow rules will face fine upto 10 lakhs and the people that are responsible for this can face jail-term upto 10 years. Surrogacy bill is intended to protect surrogate mothers, but instead it made the situation of surrogate mothers even worse. They cannot approach court if they are not paid. As there is demand for surrogate mothers and the bill is too strict, more illegal surrogacies will take place leading to further exploitation of surrogate mothers. To make the surrogacy happen, hospitals, doctors and everyone involved get paid for their work, and the couple will get a child. And here the only loser is the surrogate mother. She loses her work for a few months and she goes through labour pain and probable medical complications, but she has to be altruistic and should do all this for free, according to this bill. This bill did not mention about the situation of surrogate mothers who are already going through the commercial surrogacy. Some women are willing to opt to be a surrogate mother for their financial needs. But now they do not have right to do so, because surrogacy bill mentioned that only a close relative can be a surrogate mother. Not every couple is fortunate enough to have a close relative who is willing to be a surrogate mother. Approx 95% of couples will not be able to opt for surrogacy due to this ‘close relative’ clause. As there is no definition of ‘close relative’ in the bill, it can be misused. At present organ donation while alive is only permitted for close relatives, but it is being misused. Surrogacies will also happen in the similar way. India is still a patriarchal society. Women in many families are here do not take decisions on their own lives. ‘Close relative’ clause may become a new burden on them to be surrogate mothers to produce heir of the family. Only married heterosexual couples are allowed to opt for surrogacy. LGBT couples, single men and women are denied of this facility, which is a discrimination. This law is not in consonance with the recent Supreme court judgements – one judgement gave legal sanctity for live-in couples and another judgement decriminalised homosexuality. Single women have atleast another option of artificial insemination to have genetic child, but single men have no option other than surrogacy. This bill contradicts with adoption law, because adoption law allows single women to adopt a child. To opt for surrogacy, atleast one person of the couple have to prove their infertility medically. In India, infertility is looked down. Due to this, people do not tell others about their infertility. But declaring themselves as infertile to opt for surrogacy puts enormous emotional stress on them. Surrogacy bill did not mention about the couples that have other health issues. For example, some women can conceive but cannot carry a child. Denying surrogacy option for these people is discriminatory. With the availability of advanced medical facilities, one can easily check themselves of infertility. In this case, waiting period of 5 years do not serve any purpose, but rather increases the trauma of childless couples that desire to have child. These 5 years is to try other Assisted Reproductive Methods(ARM) to have their own child. But the decision to opt for surrogacy as their first choice should be respected. The bill mentions that if either of the couple is infertile, they can opt for surrogacy. But the fact is that is if a man is infertile, they cannot even go for surrogacy. It’s good that this bill banned couples from foreign countries from coming here for commercial surrogacy. But it did not mention about the situation of Persons of Indian origin (PIO) & Overseas Citizens of India (OCI). Only poor and middle class people are affected by this bill, because rich people have the option to go for other countries to find surrogate mothers. Surrogacy Bill is a good step in the process of regulating surrogacy in India. But there is a need to do some modifications in the bill before passing it in Rajya Sabha. 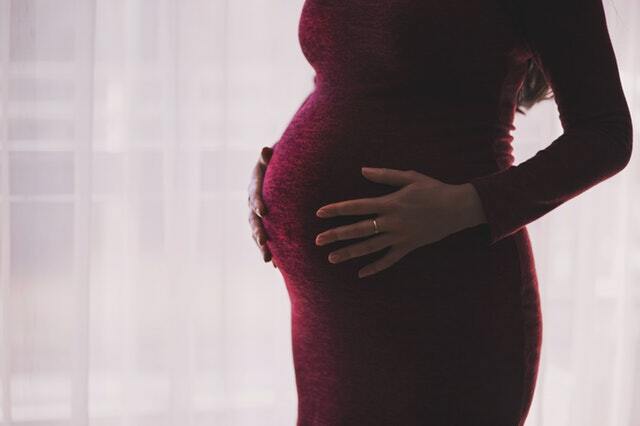 Instead of expecting surrogate mothers to be altruistic, it would be much better if there is a financial compensation for surrogate mothers for sacrificing a part of life. Compensated surrogacy with strict rules is much better than banning the commercial surrogacy altogether. What is your opinion on Surrogacy (Regulation) Bill? Express your thoughts in the comment section below. Subscribe to our blog to read answers to trending GD topics.